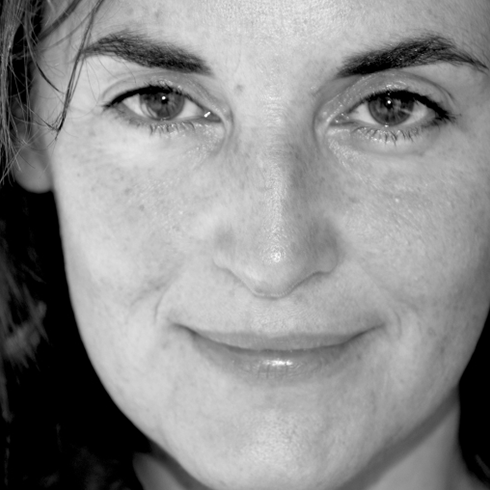 Vigo originates from an idea by Miriam Mirri, internationally renowned freelance designer from Bologna, winner of the 2006 prize Fritz Henkel Award for Innovation, who on several occasions exhibited projects and works at the Triennale Design Museum in Milan, who works for Alessi, well known company that uses only high quality materials for its products and leading exponent of the "Factories of Italian design". 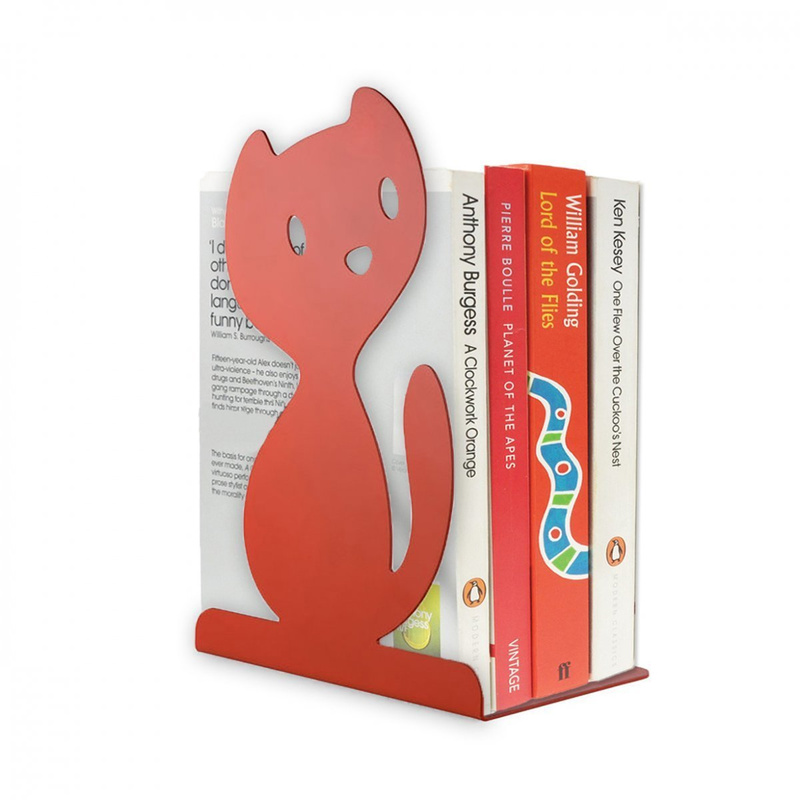 This bookend made of stainless steel and coloured with red epoxy resin, has the appearance of a cute kitten, and is perfect to keep in order your books in the bookcase, together with CDs, DVDs and vinyls. It can be placed in any room, thanks to its small size. Moreover, thanks to the reflecting capacity of the steel, you can place it playing with the countless reflections that are created on the surfaces and on surrounding objects. 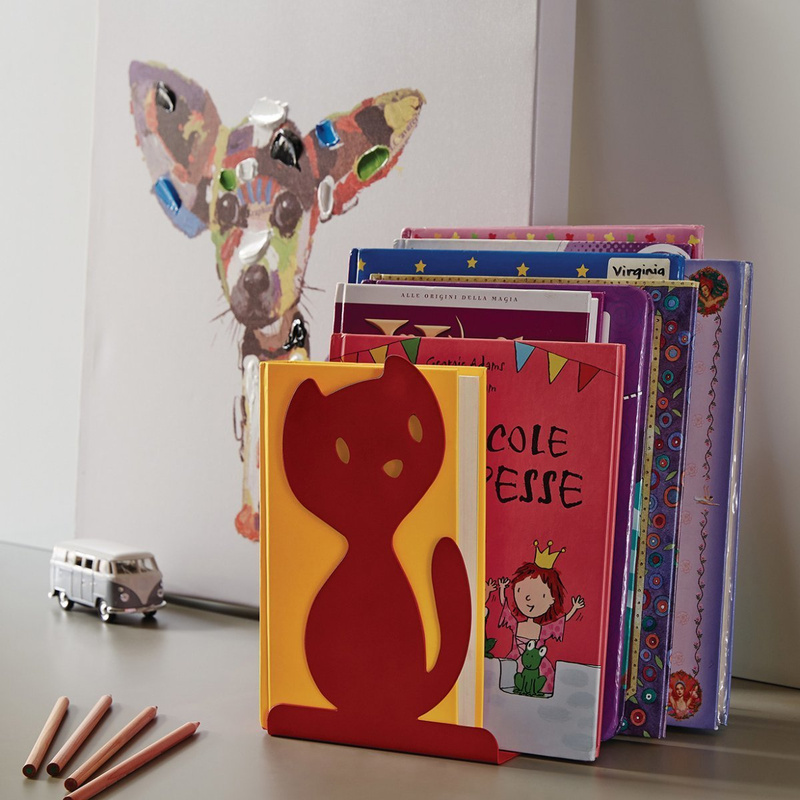 Thanks to its simple and elegant design, it is an excellent solution both for home and offices, with the possibility to place it on desks and worktops. Vigo is also a perfect gift idea for both adults and children, and is a safe choice both for special occasions and celebrations, such as birthdays or anniversaries, and during holiday season, thanks to the red colour, which recalls the typical Christmas atmospheres and gives your rooms a touch of joy and happiness. Enrich your rooms with this beautiful design solution which combines functionality and elegance, paying great attention to product quality.